and will make any guest feel extremely welcome and at home. 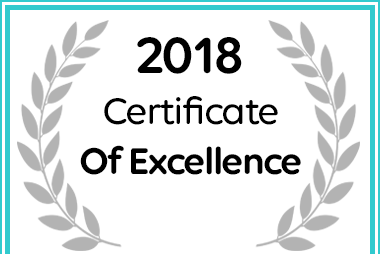 Langrug Lodge received a Certificate of Excellence for 2018. 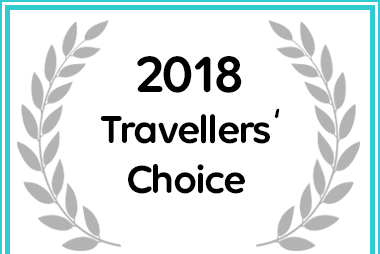 Langrug Lodge received a 2018 Travellers' Choice Award for Self Catering Accommodation on Afristay. 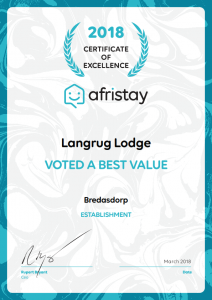 Langrug Lodge in Bredasdorp has been voted a Best Value establishment on Accommodation Direct. Who says winter birding cannot be productive! Just a short report on birding at Klipfontein Keep in the Agulhas Plains. Saturday and Sunday was cold and misty but almost windless. Saturday began with the normal Cape Bulbul, Cape Sugarbird, Malachite sunbird, African Sacred Ibis and then I was surprised by my first Pale Chanting Goshawk in the 6 years of recording the Agulhas Plain. Although recorded once or twice before it is rare South of Bredasdorp. Black-shouldered Kite chasing each other performed well and Southern Boubou close-up was a good sighting. Southern Grey-headed Sparrow, Fiscal Flycatcher and Rock Kestrel followed. A Jackal Buzzard showed at it’s normal clump of Bluegum trees. About 5 Denham’s Bustard was spotted but over-shaddowed by the Capped Wheatear which for some reason looks at their regal best at this time of the year. The plumage/colours so clearly demarcated and wow… so many of them. Cannot recall seeing so many on one day….probably about 30. An adult Lanner Falcon was a highlight of the late morning, suspiciously keeping it’s distance! Sunday morning accounted for another Wattled Starling experience, this time mixed with Pied Starling. I estimated 150 + 100 of each. Wattled Starling is not something we see in such large numbers in the plain. Brimstone Canary, Orange-breasted Sunbird, African Fish-eagle, African Pipit and Agulhas Long-billed Lark were ticked and then another special observation. Southern Black Korhaan has been very rare in the past but since the clearing of aliens, there seems to be an increase in numbers, a very good sign and a good ending to an enjoyable winter birding experience! Species counted: 60. On the 1st of Dec 2015 the research team of Dr Alan Lee, University of Cape Town and Dale Wright of Birdlife South Africa turned up at Klipfontein to search for the elusive Hottentot Buttonquail. This species was previously reported to occur in the dune veld on this farm and a team of 8 surveyed the area from early morning. It must be said that at this stage the research team has walked more than 140km through nature reserves throughout the Western Cape and registered only 7 Buttonquail over a period of about approximately 2 months. The team bundu bashed its way in a straight line over very promising terrain but the 3-4km first stint delivered only Cape Clapper Lark, Duiker and a few innocent snakes. How do you recognize a group of scientists from “normal” people? Someone shouts: “Snake!” and everyone runs to the point of interest(not away!). Then we turned and walked back in a new direction and soon we heard: “Buttonquail!”and within seconds it disappeared showing only its back to the scientists. Now the group were suddenly upbeat and excited about further surprises. Only a further km away the second Buttonquail flew away and this time almost all could see it clearly. As we all were discussing the success, we suddenly hear the call of male Buttonquail just 30 meters away to our right! This was very special as there are very little known about the H. buttonquail call and only 2 recordings in existence! Very special. As we left Klipfontein Keep 30min later, we discussed how very special this area is for the protection of the H Buttonquail and hope was expressed that this habitat will be left untouched. The survey of the next 2 days delivered an extraordinary finding: Hottentot Buttonquail keeps mostly to a very narrow strip of habitat (approximately 500-1000m wide) around the most Southern point of Africa. This probably means they are even more endangered than expected. More accurate detail will be available once the research project is completed, but one thing is certain: Klipfontein is one of the best places to spot the Hottentot Buttonquail! I was privileged to spend 2 days birding the Klipfontein Keep . What a hidden gem! Two days were just not enough time to see every possible birding spot. The farm has vlei’s and mudflats(they had very good rains this year) which were teeming with waders and many water bird species. After all, this was the farm on which a White-rumped Sandpiper was recorded years ago! The agricultural fields have many Larks, Pipits and Cisticolas(including the much sought after Agulhas Long-billed Lark) and even gave me my first Peregrine Falcon of the Agulhas Plains! But the reason for visiting, was the very rare Hottentot Buttonquail and a survey that was to be done soon. This rare species was reported by the owner and I had to see whether the habitat was right. This lead to a 4×4 track through the most beautiful veld and very important – ideal habitat for the endangered Hottentot Buttonquail. Congratulations to Johannes for preserving the natural habitat of this species! The 2 days delivered 76 species including African Marsh-harrier, African Pipit, Bar-throated Apalis, Blue Crane, Cape Batis, Cape Grassbird, Cape Sugarbird, Cape Teal, Capped Wheatear, Clous Cisticola, Common Greenshank, Curlew Sandpiper, Denham’s Bustard, Glossy Ibis, Greater Flamingo, Grey-winged Francolin, Jackal Buzzard, Little Stint, Namaqua Dove, Pied Avocet, Red-capped Lark, SA Shelduck, Southern Pochard, Streaky-headed Seedeater, Whiskered Tern, Yellow-billed Kite and Zitting Cisticola. I highly recommend Klipfontein Keep as birding destination! Klipfontein farm is registered as “MYBIRDPATCH” site. WHAT IT IS: The large thatched-roof farmhouse has been renovated and redecorated from top to bottom, making it a sumptuous retreat for body, mind and soul. There are three en-suite bedrooms and four bunk beds on the open mezzanine level. The downstairs entertainment level features a large flat screen TV with DStv and sound system plus a dining room with adjacent bar counter and indoor braai area. There are plenty of comfortable couches and armchairs within which you can “kuier” the night away. The large outside patio also offers comfortable seating and an alternative “fire-pit” braai facility. WHY GO THERE: If you’ve ever felt like you want to own a farm but don’t have the requisite millions to purchase one, this place is for you. And it’s all yours exclusively for the time you’re there; besides the odd lowing cow or snorting bontebok, that is. There’s also a lotto do on or near the farm, including walking; mountain biking; bird watching; visiting the nearby De Mont Nature Reserve (17km). Struisbaai (10km), the tip of Africa at Cape Agulhas (16km) and wine tasting at the collection of wineries around Elim (34km). THE FOOD: Klipfontein is self-catering only and is fully equipped with everthing you’ll need. There are also many good restaurants in nearby Bredasdorp, Cape Agulhas and Struisbaai. "This cottage is by far the best stocked getaway I have experienced to date; whatever you may have forgotten to bring you should find here, even head-ache and indigestion remedies. I was excited to use the "jaffel" maker and eventually found and utilised the "donkey" after going a couple of days without showering (I come from drought stricken Cape Town) and what an amazing bubble bath I had! Stunning setting; lots of critters and bird life, with some birds even coming to visit in the cottage, much to my amazement. The couches and bed were very comfortable, a perfect place to relax and unwind! Can't wait to visit again." "Perfectly situated on a large lake, away from all the hustle and very private. It's ideal for nature- and bird lovers. Close enough to the sea and town. It was very well equipped and tastefully decorated. 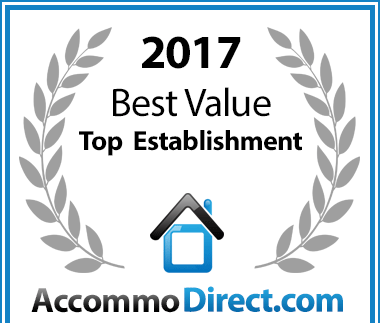 We loved it and will visit again!" "We had a wonderful weekend. The house was so well equipped with everything we could want, with lots of kind extra touches." "Langrug is not a place where one stays, but rather the heart of a person that you step in to. From the time that we arrived it just got better and better. Many people speak about the personal touches, and truly they are in abundance in every corner of the cottage, making one feel that you are always at the receiving end of a most generous and open heart. From the time we stepped in we felt like royalty. Just when you think that Jenny has thought of everything and are in awe, out pops another surprise and piece of her heart that is shared with the guests. Langrug is not just a cottage on a lake with fishing, walking, peace and quiet, it is an experience of sharing in someone's passion. Jenny has managed to infuse an emotion into every wall, nook, cranny, bed, chair, lamp, candle etc. that is part of the set up. Although we never met you, we felt like we knew a part of you. We also felt like nothing was too much effort for you and what you did came from the heart. Thank you, our faith in humanity has been restored. There is absolutely no doubt that I will be back in the not too distant future." "Such a peaceful escape. We really enjoyed our stay with our dogs. The big open spaces and swimming hole were bliss for the dogs, and the beautifully equipped cottage, extensive views and total peace and quiet were bliss for us. We will definitely be back!"